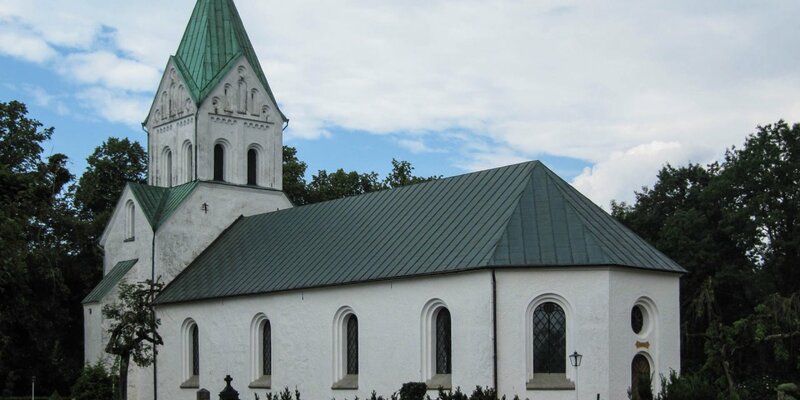 The little church of Munka-Ljungby was originally built in the late 12th century as a chapel by the monks of the former monastery Herrevad. 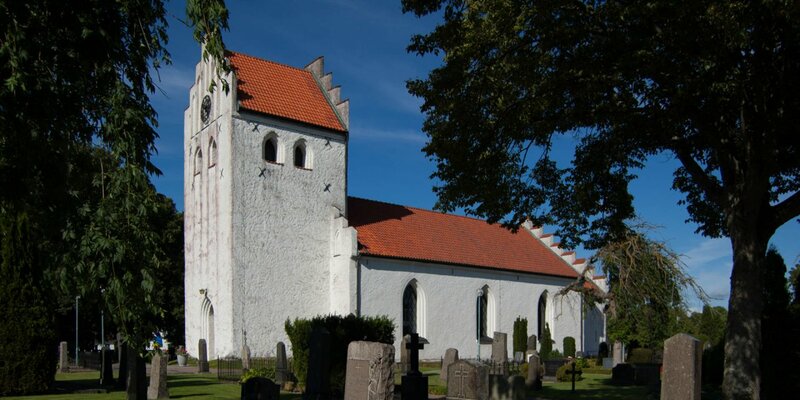 The monastery Herrevad at Ljungbyhed in the municipality Klippan was built in 1144 by the Bishop of Lund whose land ownership included the area of today's town Munka-Ljungby. Towards the end of the 12th century the monks built a small chapel in this area, from which the present church emerged. 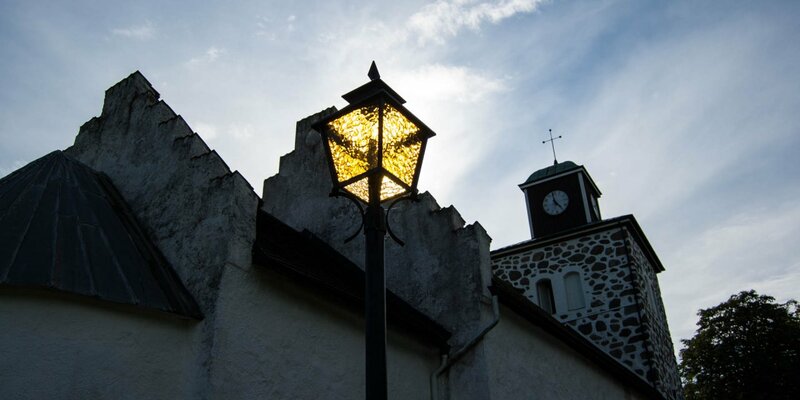 Probably the town get its name "Munka" (monk) because of the chapel. 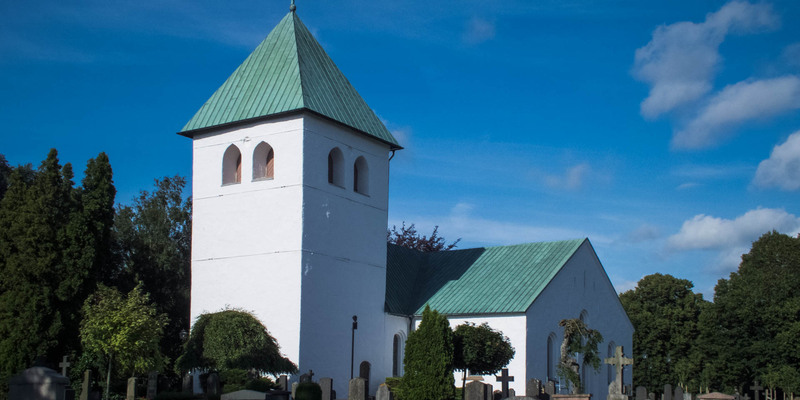 The old chapel is the sacristy of the present church. Later this was expanded by the interior room with its entrance between the current nave and the vestibule. In the late 15th century, the beautiful vaulted were built and the tower was attached. The two transepts were added 1867–68. The baptismal font made of sandstone dates back to the 12th century and the murals on the ceiling of the choir are from the 15th century. The altarpiece is a copy of a Rubens painting. It shows a sun symbol with the Hebrew initials YHWH for the name of Jehovah.